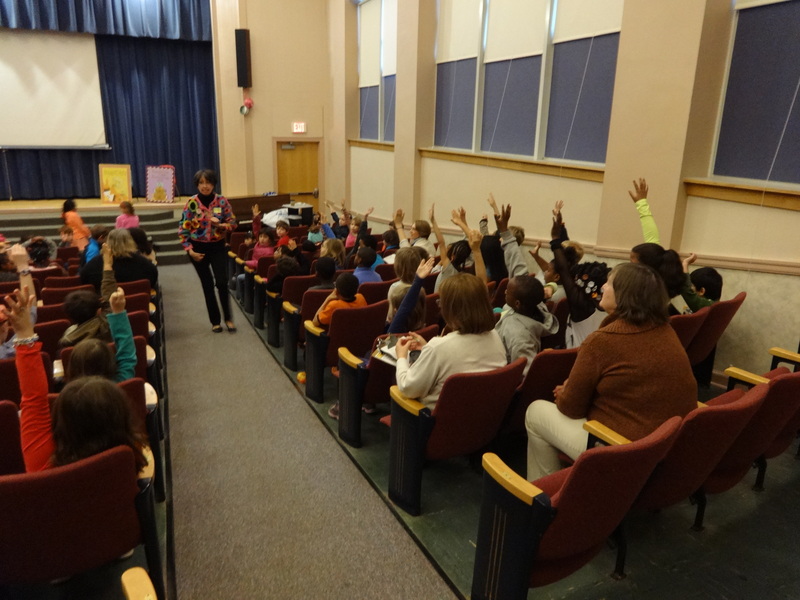 This March, Johnson students were lucky enough to get to see Kate DiCamillo speak during the Virginia Festival of the Book. The experience was spectacular, and I wrote a blog post to share the wonderful things that we learned. 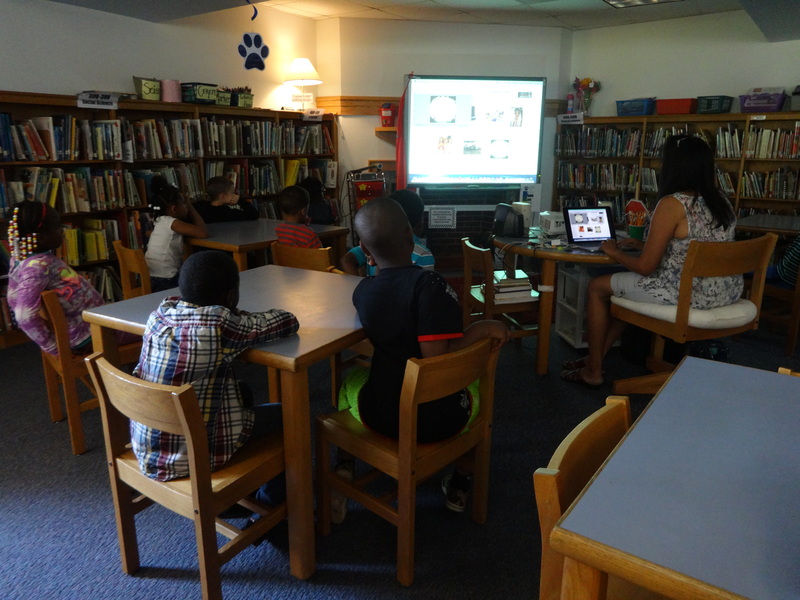 Since then, the post has garnered hundreds of page views, been shared by Charlottesville City Schools and Virginia Festival of the Book social media, and read by teachers and librarians across the country. Now, the Virginia Foundation for the Humanities has published the piece in their biannual publication and shared with all of the organization’s members. Click the photo below to view a PDF copy of the magazine, or visit the Virginia Foundation for the Humanities website and register to receive your free print copy. I’m proud to share this article and proud of the statement that it makes: Johnson students are proud readers, writers, and supporters of literature. 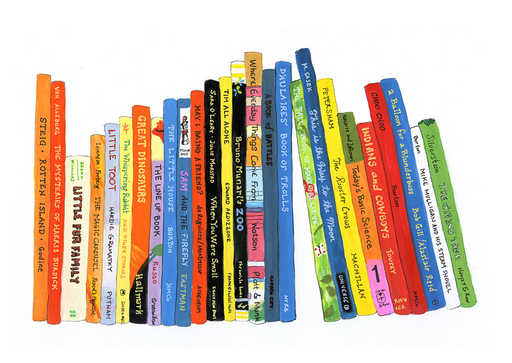 Pass the word along – young readers DO exist, and they are LOUD! 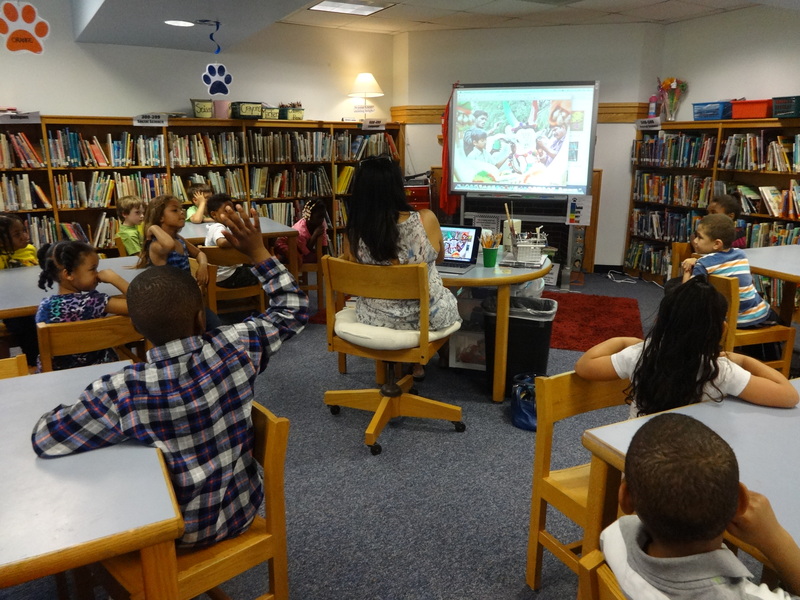 This afternoon, local author Priya Mahadevan brought the exotic and colorful world of India into the Learning Leopard Library! Mrs. Mahadevan’s new book, Princesses Only Wear Putta Puttas, tells the tale of Fey Fey (based on a real Johnson first grade student! ), who visits India and loves the colorful clothes she gets to wear to her cousin’s wedding. When she comes back to the United States, she’s not ready to put her beloved “putta puttas” (her words for the traditional long skirt and blouse) to rest. It’s fall and Virginia is getting chilly, but Fey Fey wants nothing to do with a coat – because princesses only wear putta puttas! 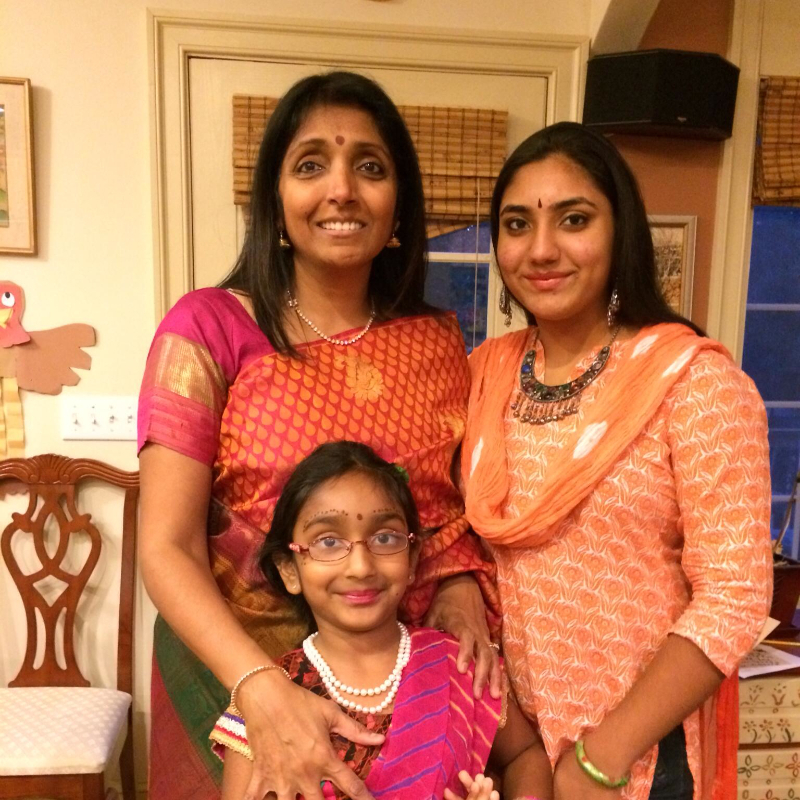 Priya with her beautiful family. Shreya, inspiration for the character Fey Fey, is in the front. 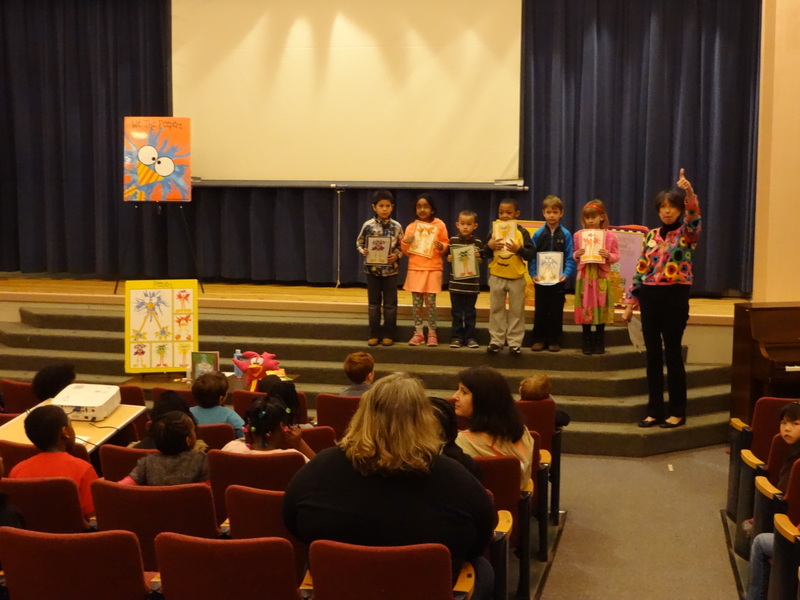 Mrs. Mahadevan shared her story with kindergarten and first grade classes this afternoon, and her multimedia presentation transported students into the busy streets of India, experiencing the culture and excitement firsthand. 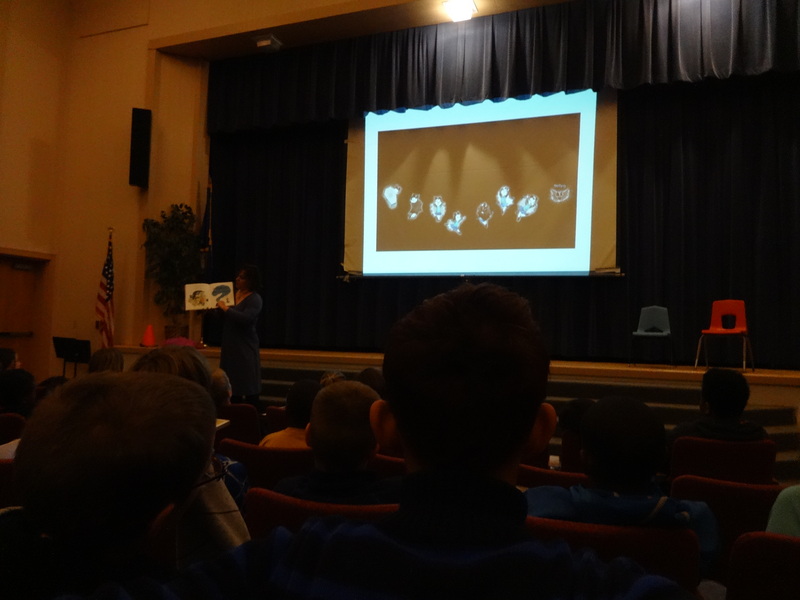 Students were delighted to learn exciting new Indian words, see photos of beautiful Indian jewelry and clothing, and experience other aspects of Indian culture through the story’s engaging writing. You can learn more about Princesses Only Wear Putta Puttas or donate to the book’s Kickstarter page here. When you visit her page, pay close attention to some of the little faces in the video – can you recognize any other Johnson students who don’t want to wear coats over their putta puttas? A huge thank you to Priya Mahadevan for generously donating your time and your wonderful story to the Johnson library this afternoon! We loved having you and can’t wait to have Princesses Only Wear Putta Puttas in our library collection. Learn more about Priya Mahadevan’s story, Princesses Only Wear Putta Puttas, on her Kickstarter page. Or follow this link to find out more about one of Priya’s other passions, her delicious food! Last Friday, students from all over Charlottesville City and Albemarle County zipped rain coats, boarded field trip buses, and made their way through the rainy city of Charlottesville to St. Anne’s-Belfield school. 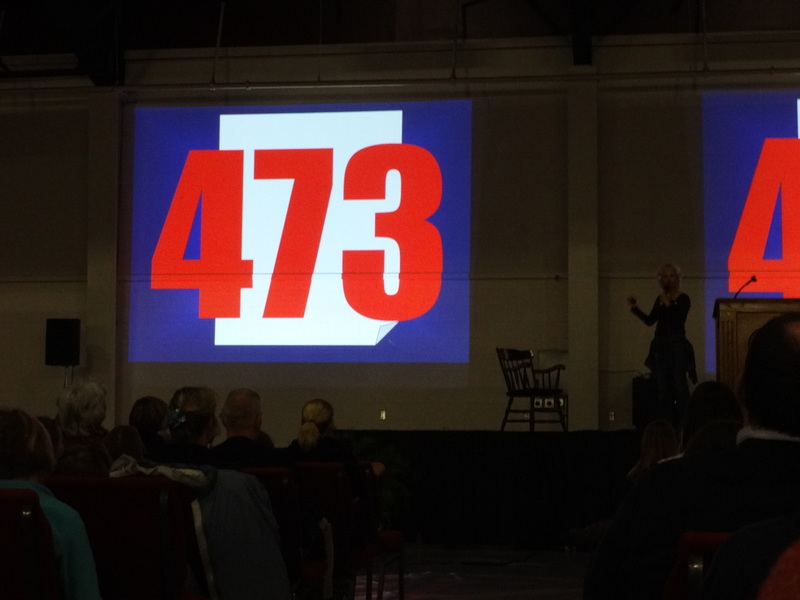 More than 1,200 students gathered in the STAB Convocation Center and sat, tapping their feet and twiddling their thumbs nervously. There was electricity in the air as everyone waited for the lights to dim and the speaker to arrive. When the speaker finally stepped on stage, the applause nearly shook the ceiling. Students were on their feet yelling, clapping as loudly as they could, yelling phrases like “I love you” and “You’re awesome”. So who was this mystery speaker? Rock star, setting up to play a set…? NFL quarterback talking about his famous touchdown pass…? Famous actress reciting lines from her newest film…? The speaker that garnered so much excitement, electricity, and joy, was Kate DiCamillo, humble and hilarious author of some of the most beloved childrens’ books in recent history. DiCamillo might not be a traditional rock star, but here in the Learning Leopard Library, she has achieved honorary rock star status – her Mercy Watson and Bink and Gollie series are constantly checked out, the cover of Because of Winn Dixie elicits squeals and sighs upon sight, and last year’s Newbery winner Flora and Ulysses has more holds in the library system than you can shake a stick at. When it comes to authors for children, DiCamillo is about as cool as it gets. So when Ms. DiCamillo grabbed the microphone, dimmed the lights, and greeted us, you could hear a pin drop. 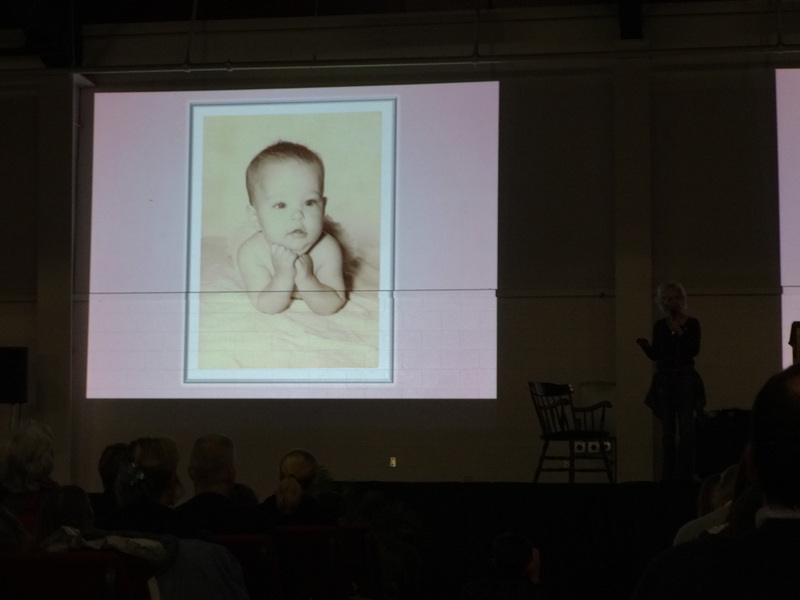 DiCamillo spoke to her entranced audience honestly, highlighting the difficult and painful process that helped her to grow. She gave us the long list of illnesses that kept her in the hospital for months at a time during elementary school. She shared personal and touching truths with students, like the fact that she struggled to understand why her father didn’t live with their family for most of her childhood. She invited us to share some of her most difficult moments, like the recent loss of her mother. She described people in her life that seemed to be rooting for her to fail, and pushing her to settle. With each slide, she let us into her life, her heart, and her mind – and inspired students to keep moving, working, and striving. Her best advice? If you want to be a writer, you have to WRITE! 473 – the number of times that DiCamillo’s first book, Because of Winn Dixie, was rejected before it was finally published in 2000, and named a Newbery Honor Book later that year. Johnson 3rd and 4th graders in the audience, buzzing with excitement! 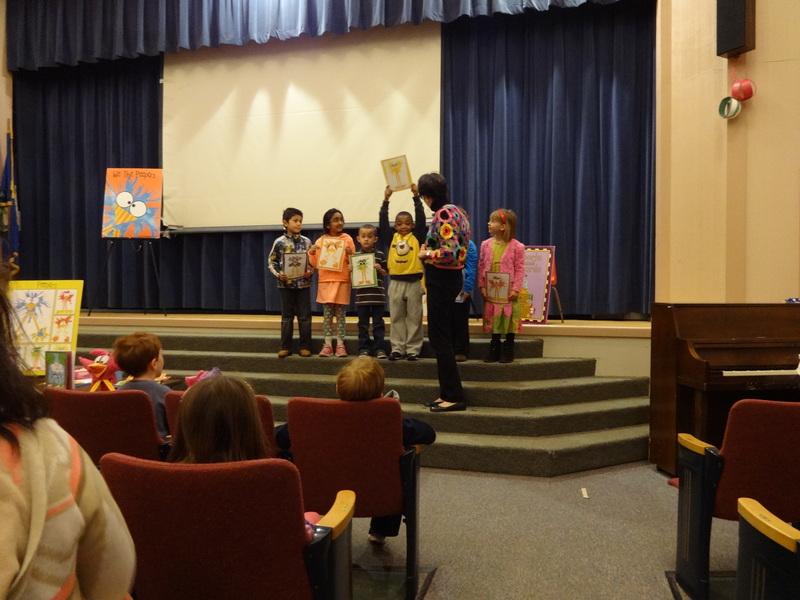 Ms. DiCamillo made us laugh, made us think, and made us feel that the whole world was within our reach. But, to be honest, it wasn’t her words that made me tear up. 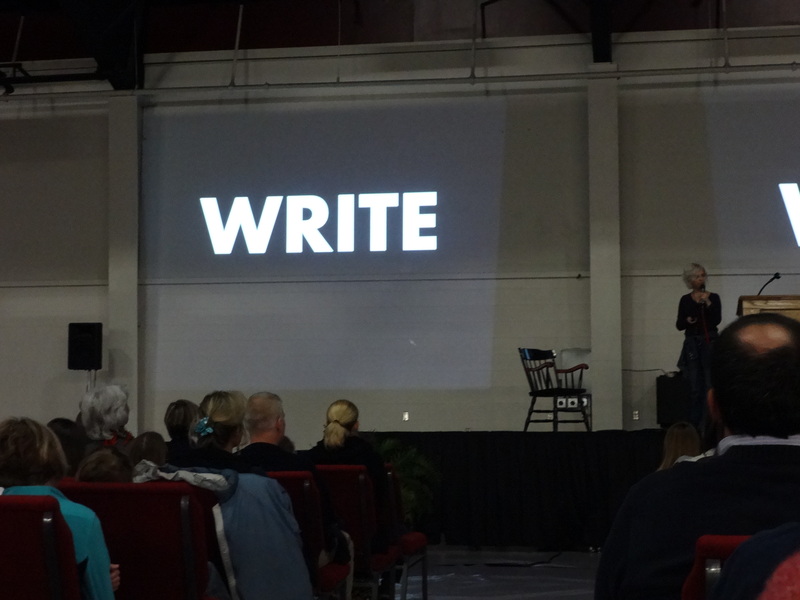 Towards the end of her presentation, Kate DiCamillo went through her complete works, giving each book its own slide and asking students for their opinions. The results were deafening. 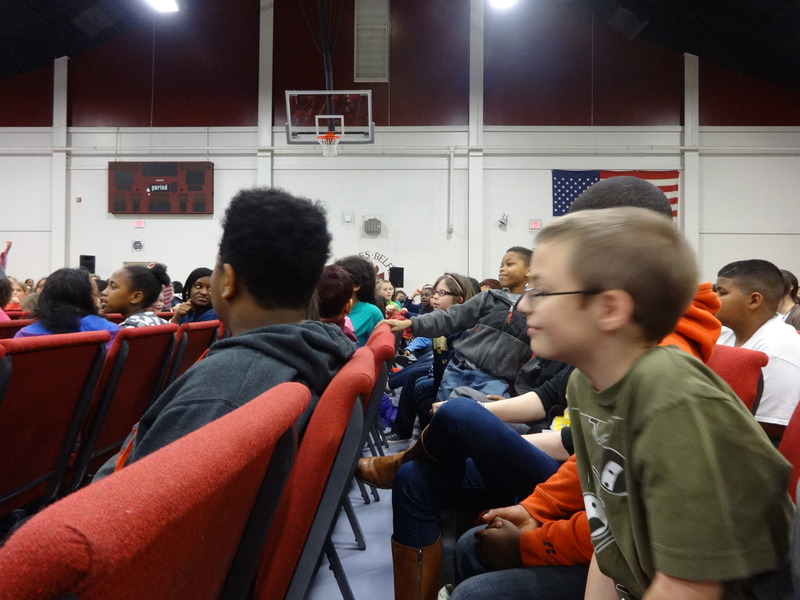 1,200 kids were on their feet hooting, hollering, and cheering with all their might. The joyful noise grew with each slide until, when she finally reached Flora & Ulysses, I thought the roof was going to fall on top of us. While the rest of the room roared, I grinned through tears. I have adults ask me all the time what it’s like to work with a generation of students that choose video games over picture books. The opinion seems to be that today’s children have lost their passion for reading in the digital age – but do you want to know a secret? That’s not true. Passionate readers still exist; I am lucky enough to work with approximately 350 tiny ones every single day. And when you combine these young readers with positive mentors and wonderful literature like that of Kate DiCamillo, something magical happens. They grow to become well-rounded, successful, and compassionate adults. Sitting in that Convocation Center, I knew that those cheers weren’t for video games. They weren’t for MTV artists or basketball players. That cacophonous jumble of noise and memory and love was all about books that had opened our eyes, captured our hearts, and changed our lives. I can’t think of a single better reason to stand up and cheer. Thank you to the Virginia Festival of the Book, Kate DiCamillo, and the hardworking staff of Charlottesville City Schools for making this incredible experience possible for the students of Johnson Elementary School. 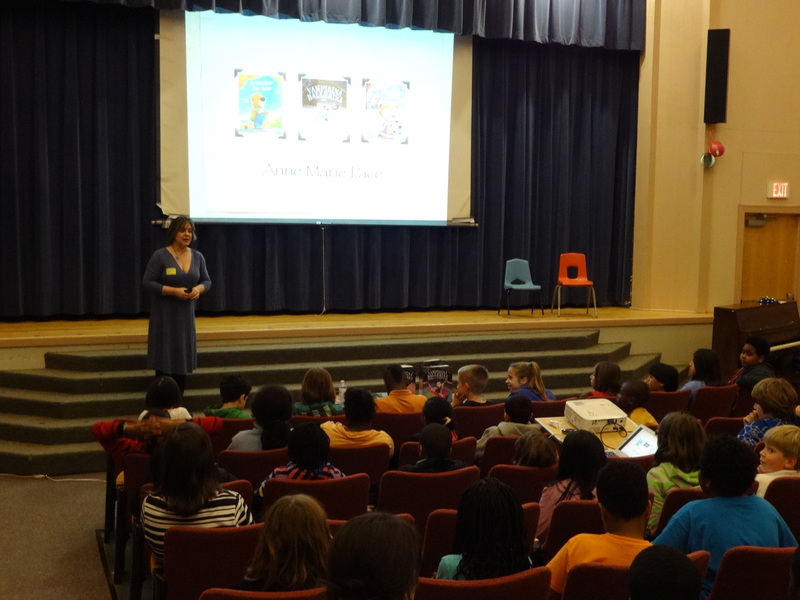 Thursday afternoon, Virginia Festival of the Book author Anne Marie Pace stopped by Johnson to teach our students what it’s like to be an author. She had some great insider details about the writing and editing process, and even showed us real drafts of her Vampirina Ballerina series! 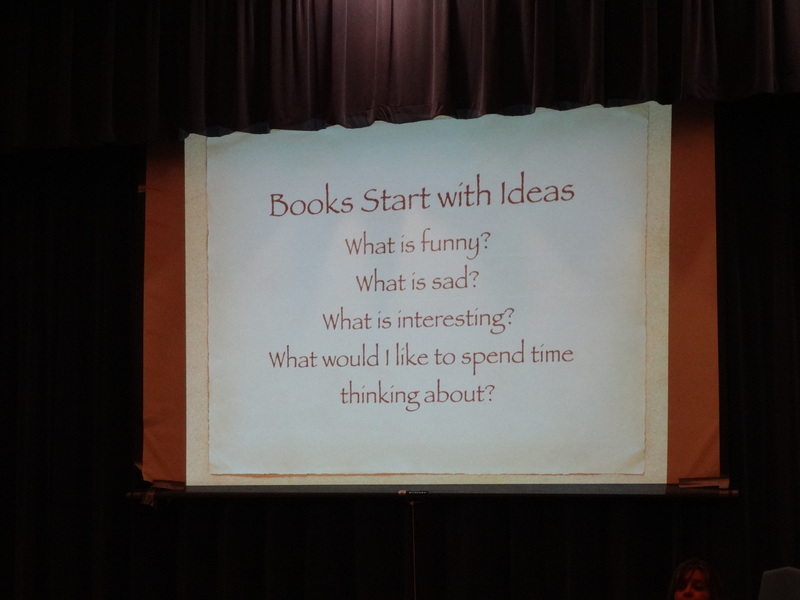 Mrs. Pace started from the beginning, talking about where she gets her ideas and how these ideas grow to be books. She explained each step along the way, from the first idea all the way to the publisher. LeUyen Pham’s adorable (and creepy!) illustrations from Vampirina Ballerina were a crowd favorite – even if they were just snippets from the editing process. 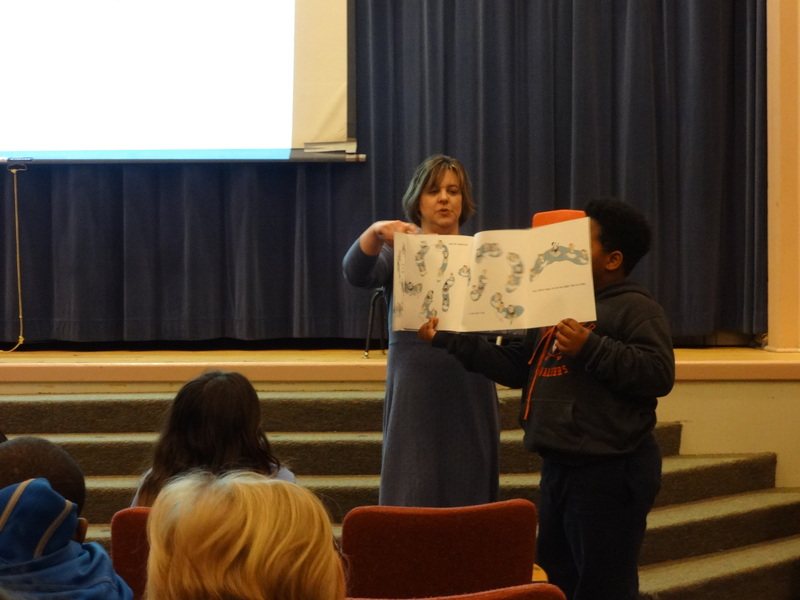 Mrs. Pace called on a helper from the audience to show off the recital page, which she said was her favorite illustration of the book. 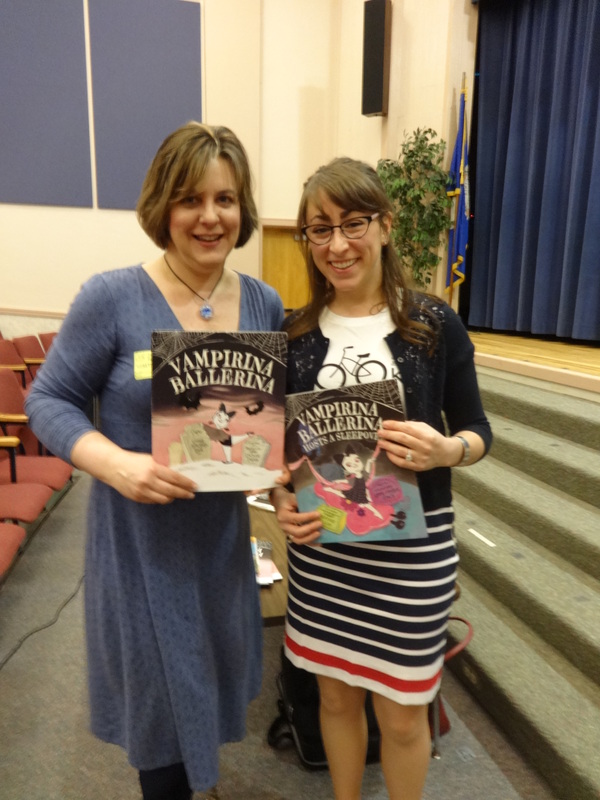 Thank you to Festival of the Book author Anne Marie Pace for bringing Vampirina Ballerina – and the writing process – to life for Johnson students! Come visit us any time! 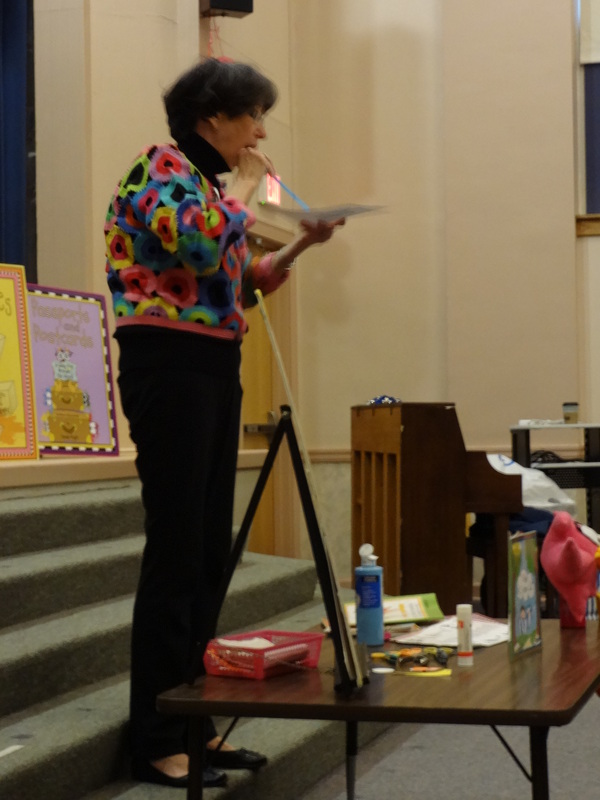 This Thursday, author Sandy Pugh visited Johnson to put on a Peeper-ific show for our kindergarten, first, and second grade students! 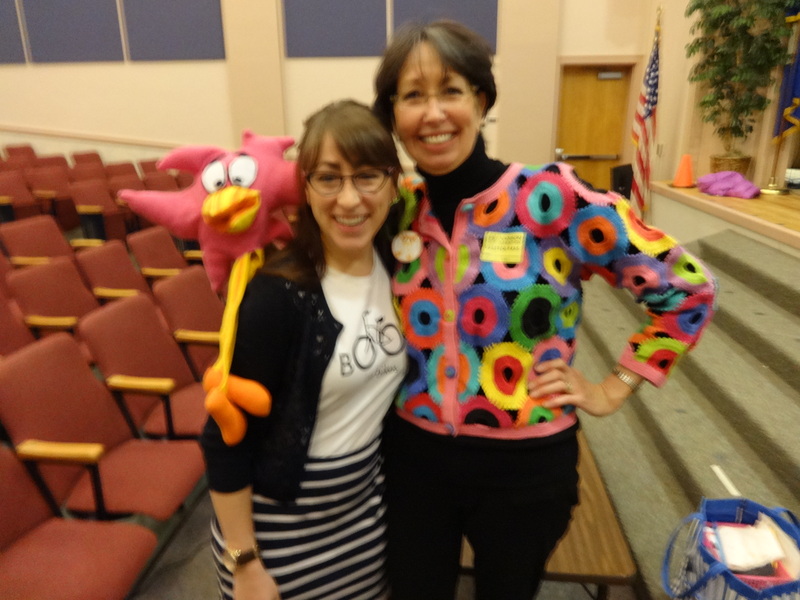 Sandy introduced us to the Peeper gang, read us a few Peeper stories, and even gave us a sneak preview of some new books that she has in the works. 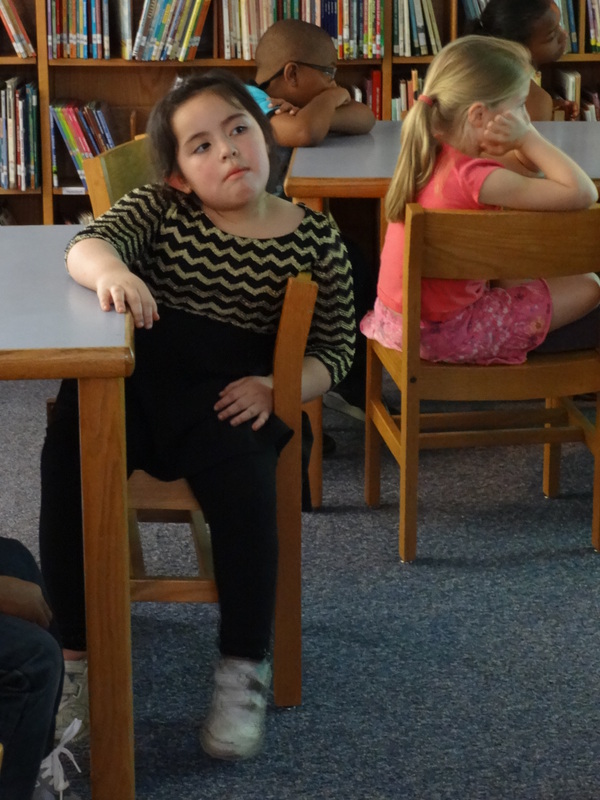 In the picture above, she had Johnson students help us to get to know the Peepers using her Peeper Poem (you can hear it here). Mrs. Pugh even showed us how to make our own Peepers, using a straw to blow paint around the page. She brought some detailed directions for us to take home, and each student that attended the assembly brough a special Peeper Paper home on Thursday. 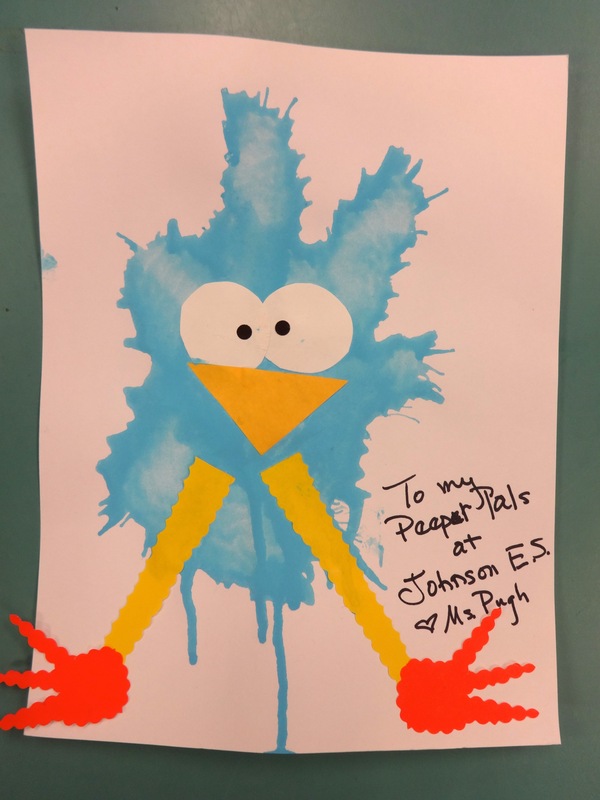 Mrs. Pugh even made us our very own, personalized Peeper – watch for this little guy to go up in a frame in the library soon! 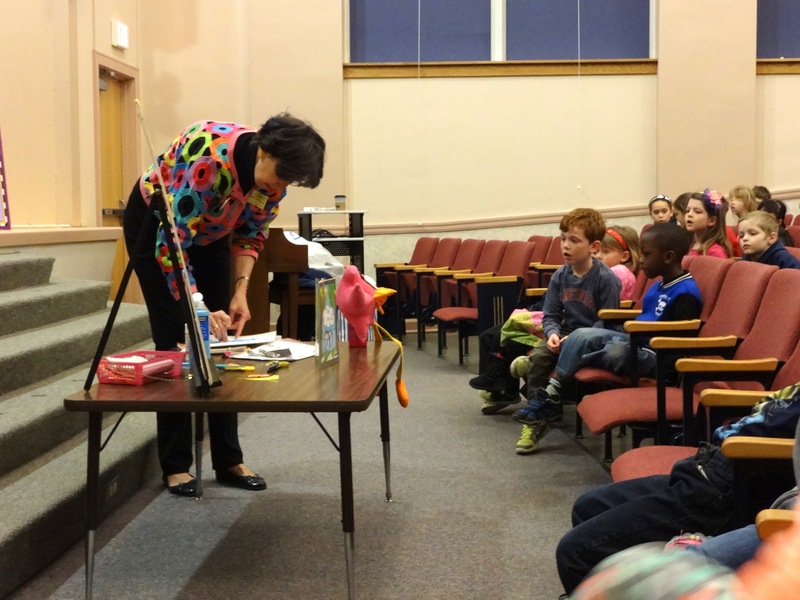 Thank you, author Sandy Pugh, for coming to visit Johnson for the Festival of the Book. We loved your Peeper stories and laughs! We hope to see you again soon!